Found one file extension association related to BRIEF and 1 file format developed specifically for use with BRIEF. 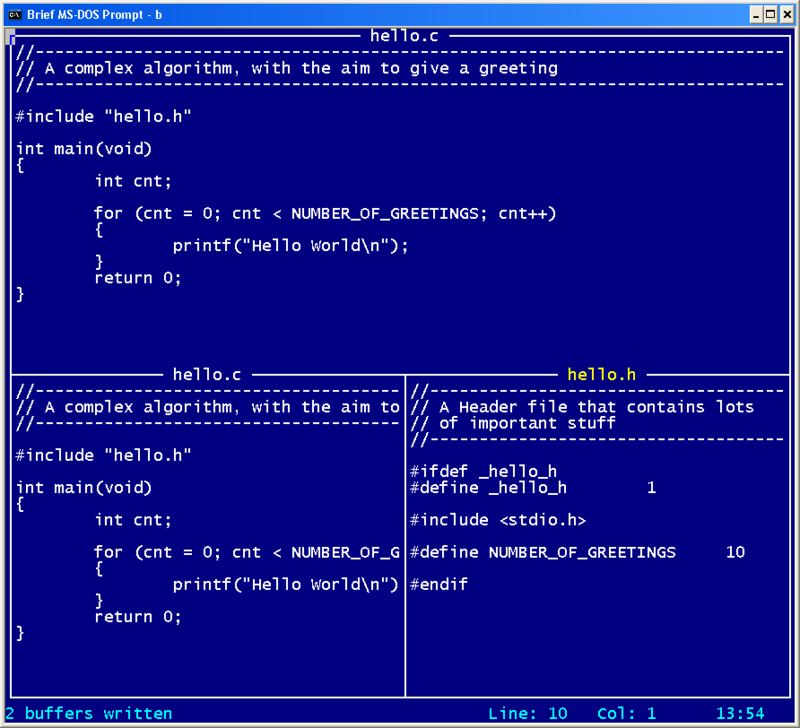 BRIEF was a very popular programmer's text editor in the early 1980s. It was designed and developed by UnderWare Inc, a company founded in Providence Rhode Island by David Nanian and Michael Strickman and published by Solution Systems. UnderWare moved to Boston Massachusetts in 1985; in 1990 UnderWare sold BRIEF to Solution Systems who released version 3.1 but a year later sold the product to Borland. BRIEF was available for DOS and OS/2 and could run in a DOS console window under early versions of Microsoft Windows. The BRIEF software seems to be old or discontinued. If you need more information please contact the developers of BRIEF (Embarcadero Technologies, Inc.), or check out their product website.